FP4 Party week was a regular old work week for me so of course I brought my pinhole camera with me to work. Here is slice of 20 minutes of me at my desk. This is Polaroid week! It was a good excuse to purchase some new Polaroid film to play with. 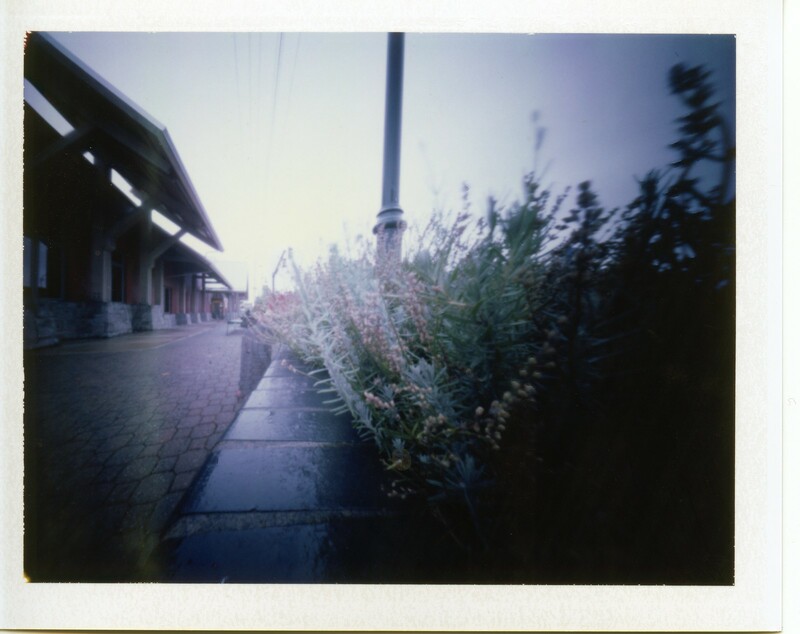 While I waited for my film to arrive I decided to play with the Polaroid 145 back I recently acquired to use with my Zero 45. 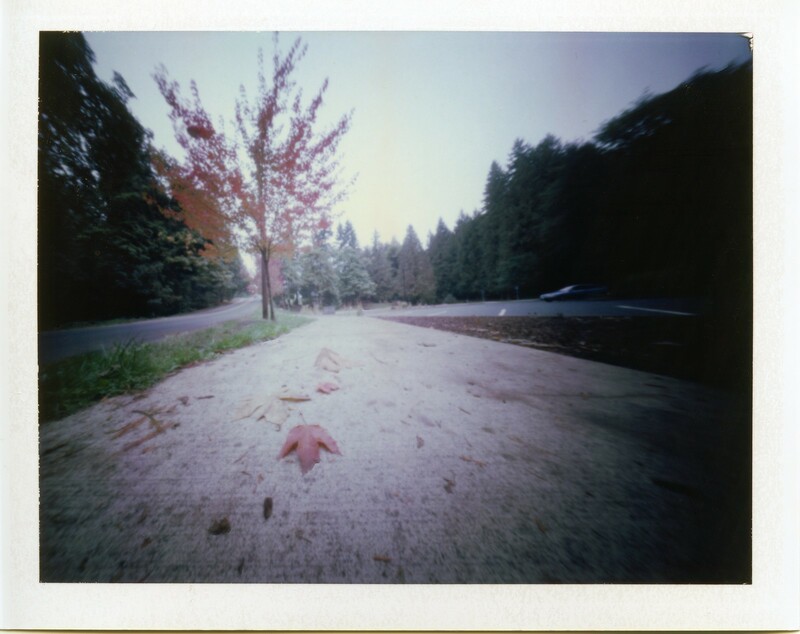 I play with instant film once in a blue moon, so it took a few tries to remember that you have to wait a few minutes to let the image develop before you peel apart the film. When I figured that out, though, the fun began! I’ve been having a blast all week with this, regardless of the lack of light and reciprocity failure. I am loving the “instant” results. 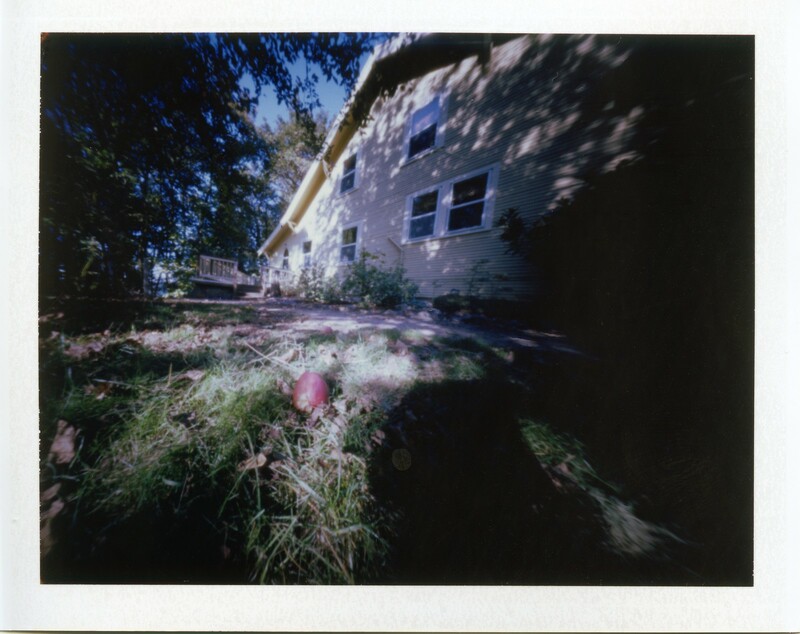 (though this being pinhole, it’s still slow photography). This particular shot was a 4 hour exposure! The weather has been lousy this week for my new Polaroid film, but I’m giving it the old college try today. I will post the results in a few days. 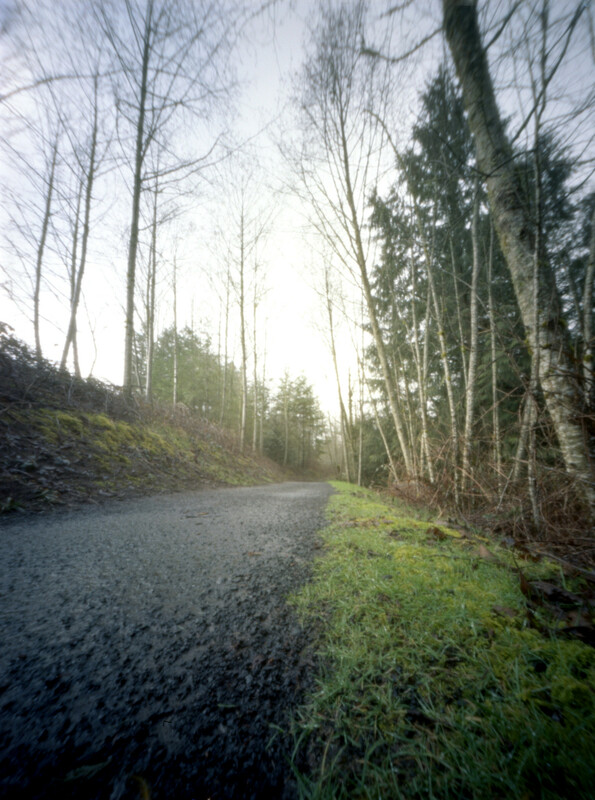 Here are the last few shots from that first round of c-41 developing I did last month. I took these while on a little walk on the trail near my house. 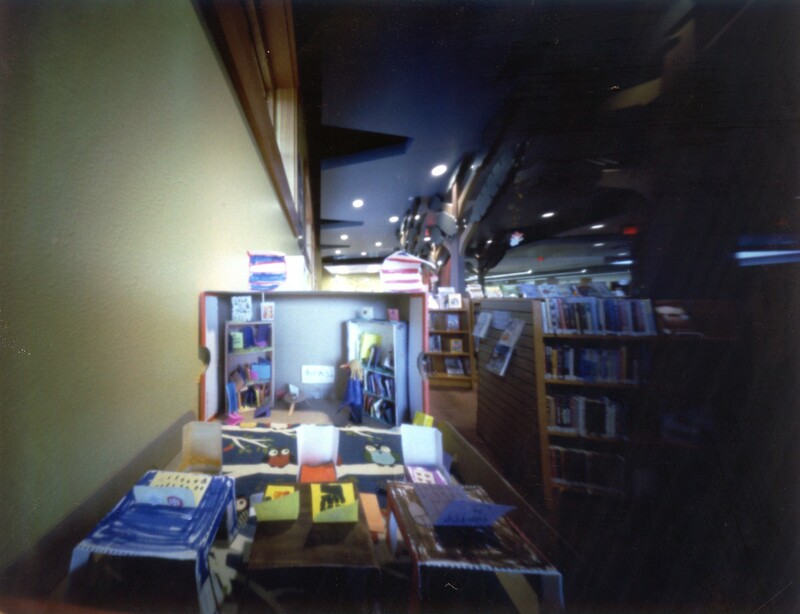 I used my Zero 45 with a 120 roll back and the film I used was Ektar 100. Incidentally, The photo of the river (above) was a longer exposure and I was nervous about encountering a mountain lion since that is where the previous sightings had been. You can read about that story here and here. Stand developed in Adonal for one hour.